Powell Boulevard is a dangerous road for a lot of reasons. For one thing, a portion of the road that runs through densely populated low-income neighborhoods currently has no sidewalks. The road is also described by the Portland Tribune as a “1950s-vintage rural highway” that needs to be made into a “modern urban thoroughfare” because it is so well-traveled. Because Powell is a dangerous road, efforts are being made to correct the problems and make the street safer for everyone. Our Portland accident lawyers know that such efforts are necessary in order to avoid accidents and also to help protect government authorities from legal liability for traffic wrecks that occur due to road problems and defects. However, while the DOT is spending about $5.5 million to improve road safety, this is far less than the $74 million concept plan that the Portland City Council approved for the same area. This has led some to say that the improved safety efforts being put in place in the area are not good enough. The goals of the DOT in working on Powell Boulevard are noble goals and it is likely that the changes being made will have a real and fundamental impact on reducing accident deaths. 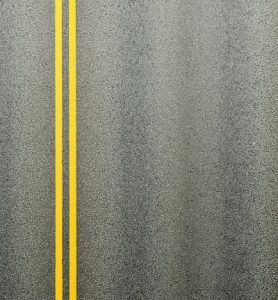 For example, the DOT project involves lane striping; creating a wider shoulder for pedestrians and bike riders; wheelchair ramps; traffic devices to prevent or slow speeding; and greater enforcement of red light laws. ODOT has expressed hope that these changes will make it easier and safer to cross Powell Boulevard and Southeast 112nd Avenue. This alone could make the investment in saving people’s lives worth it, since this area is ranked as number one for accidents. While these changes are positive steps, the Portland City Council had envisioned going further than the DOT with the improvements and changes. The City Council, for example, had called for the road to be reconfigured so there was just one traffic lane in each direction as well as a center lane for those turning. The Council also spoke out in favor of putting in full sidewalks and a buffered bicycle plan. The Council was not able to carry out its intentions because Powell is a state highway and ODOT has the authority to make the changes to the road. ODOT wanted to ensure five lanes of traffic rather than a single lane in each direction. Transportation activists also lament that sidewalks are not being added to an area of Powell that goes through East Portland. Despite misgivings, safety groups still believe that this project can make a difference. When work is done by mid-October, hopefully fewer wrecks will occur in an area that is undeniably recognized as one of the riskiest in greater Portland. If you or a loved one has been injured in an accident in the Portland area, contact Zbinden & Curtis. Call (503) 287-5000 for a free case consultation. Early this July, a pedestrian was killed in a Portland crosswalk when she was hit by a school bus. According to witnesses, two pedestrians tried to walk in front of the bus, which put them in the vehicle’s path. However, witnesses also indicate that the bus driver did not appear to stop the bus or yield when the pedestrians walked in front of the vehicle. Our Portland Portland personal injury attorneys know that pedestrian accidents are often deadly for those who are out walking and jogging, especially when the crash involves a large truck or bus. 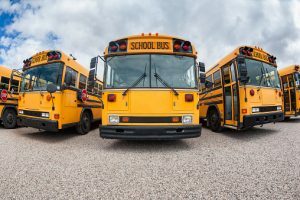 In this case, the bus driver likely played a role in causing the pedestrian crash, and thus the driver and school district that employs her could potentially be held liable for compensating surviving family members in a wrongful death claim. According to the Portland Tribune, the two pedestrians approached a crosswalk at the corner of SE 148th Avenue and Division Street. The pedestrians, a husband and wife, lived in the area and were out for a walk. Unfortunately, witnesses said that the husband and wife apparently tried to cross in front of the bus and made the choice to step around it into the crosswalk instead of waiting for the driver to signal them. This resulted in the bus hitting both husband and wife. If the pedestrians did walk when it was not their turn or when they did not have the right-of-way, they were putting the bus driver in a dangerous position and would share at least some of the responsibility for the crash that occurred and the resulting injuries. This would mean that their ability to recover compensation would be limited and they’d only be able to obtain a portion of their damages that was equal to the bus driver’s share of the fault. While it may be true that the pedestrians did try to walk in front of the bus, other accounts and evidence show that it was the bus driver who was careless in causing the death. For example, police cited the bus driver for two counts of failure to yield to pedestrians in a crosswalk. The bus driver was also sentenced to one count of careless driving causing death, as the accident resulted in the wife being killed. The police-issued citations to the bus driver could be used as proof that the driver was to blame for the crash. Surviving family members of the woman killed (including her husband who was hit by the bus) could use this evidence in their wrongful death claim. Witnesses also seem to indicate that the bus driver played a major role in causing the crash. One witness said that the driver did not stop despite the fact that the driver was able to see the pedestrians. Bus drivers and other motorists are required to stop for pedestrians in their path, regardless of whether the pedestrians broke right-of-way rules. A pedestrians’ walking in a crosswalk without waiting his turn does not give a driver license to just keep driving and run the pedestrian down.